Roger has been teaching piano for more than 18 years, and is a fully qualified piano teacher, holding the Diploma of the Associated Board of the Royal Schools of Music (DipABRSM). He also accompanies other musicians and singers, as well as undertaking Musical Director work for Musical Shows. He has worked as a vocal tutor for Stagecoach and currently works with KidzRus - a youth theatre company based in West Cornwall.He has the great privilege of seeing some really talented up and coming youngsters! Roer believes that every student is unique, and so lessons are tailored to individual needs. He has a wide range of students from children to adults, studying classical through to Jazz and contemporary styles, beginners to advanced. Some wish to do exams and festival performances whilst others wish to play or sing simply for pleasure. So the key words in my philosophy are student choice. As far as possible he will tailor lessons to meet your needs. Rachael has over 25 years experience of Piano teaching. It is her full time job and she loves it! She teaches all grades up to Grade 7 and enters candidates for the Associated Board exams if they wish to do them. Rachael has experience of teaching pre-school music and enjoys teaching all ages from young beginners to mature learners. Her normal rates are £14 for a half hour lesson, £20.00 for three quarters of an hour and she only teaches from her Haxby home. Rachael enjoys teaching music theory as an integral part of the lessons with her pupils. She is quite happy however to teach people music theory on its own, should they need to do this for any reason. Many pupils come to her especially to study for their Grade 5 Theory Exam. Sheila has over 10 years teaching experience and has been running her own business for nearly 2 years. She trained at the London College of Music where she led the Symphony Orchestra and won the String Prize in her final year. Sheila then studied for her PGCE at Oxford Brookes University and then went to Oxford University where she started her second degree. She has worked with The London Philharmonic Orchestra and English National Opera as well as doing solo and band work. 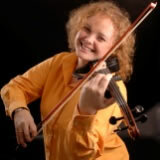 Sheila teaches the violin, piano & singing to all ages and for all levels of ability.She does taster sessions, audition preparation sessions and also runs masterclasses to provide regular performance opportunities for her clients. In the taster session Sheila will discuss the client's goals, what type of music they would like to play and enjoy listening to and how much time they can comfortably allocate to practice. She will then discuss what type of program would suit them, one hour sessions or half hour sessions, lessons once per week or once per fortnight. Lots of clients have sessions on a totally flexible basis to fit in with work and other commitments. Sheila currently charges £15 per half hour session.